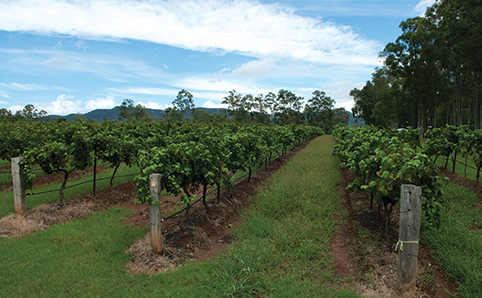 It takes around 3.5 hours to get to Sydney’s local wine region, but with over 150 wineries, Hunter Valley is the ultimate region to enjoy semillon and shiraz in a picturesque setting. Whether you opt to journey as part of a tour, or a private trip, these are the vineyards we recommend the most. 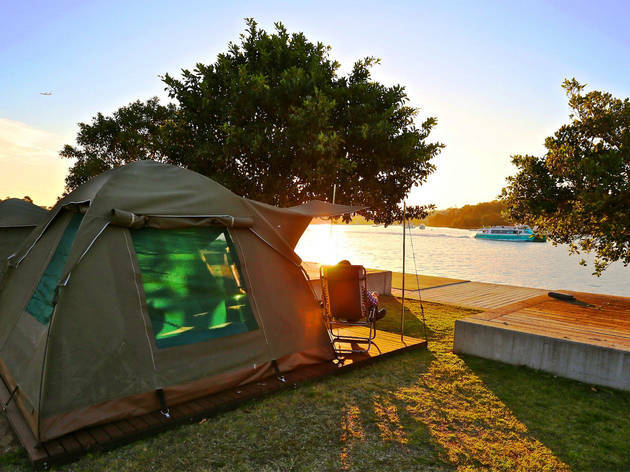 For more getaway ideas, find the best wineries to visit in Mudgee, short weekend getaways from Sydney and the best camping near Sydney. 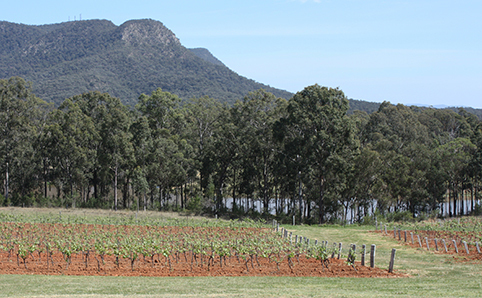 If there was an award for the most picturesque winery in the Hunter, Audrey Wilkinson would win it hands down. 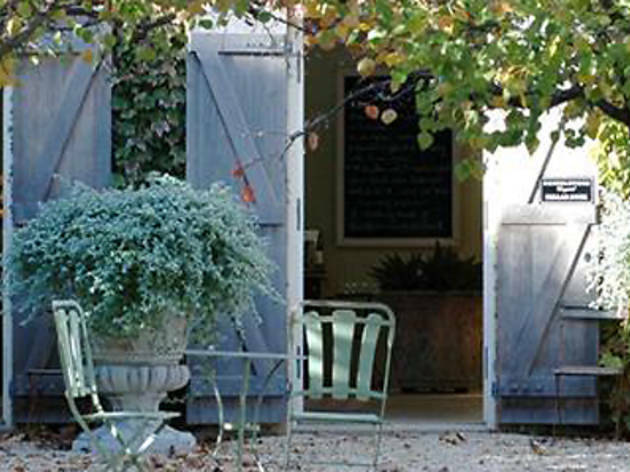 Best of all, the wines inside the country-house tasting room stand tall as well. 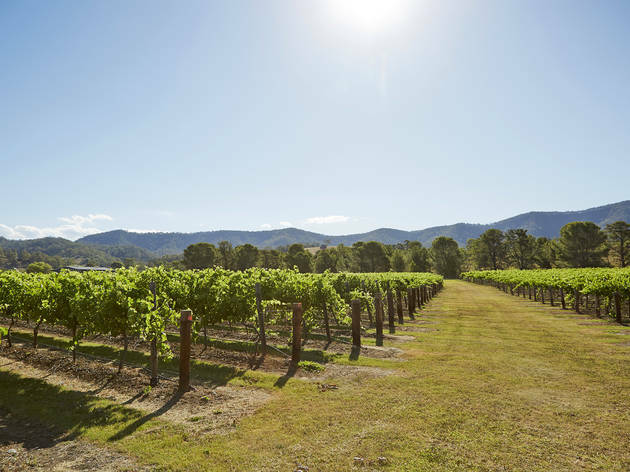 Soak in the breathtaking views of the Brokenback Mountain Ranges as you sip stand outs such as semillon, chardonnay and shiraz. The winery also produces an interesting Gewurztraminer that’s worth a look. 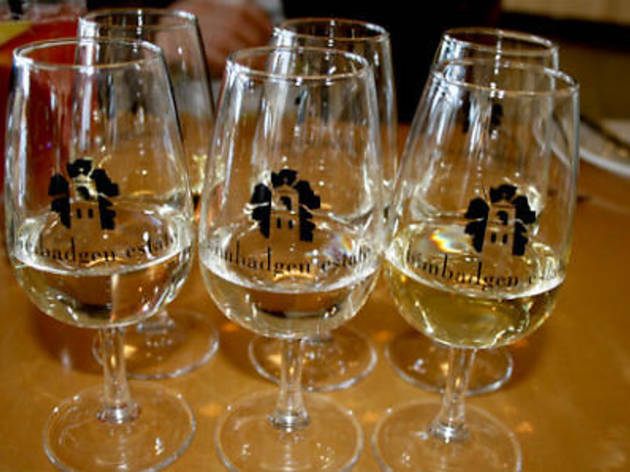 With a name that means ‘place of good view’ in the local Indigenous language, Bimbadgen has a beautiful backdrop to complement your tasting. 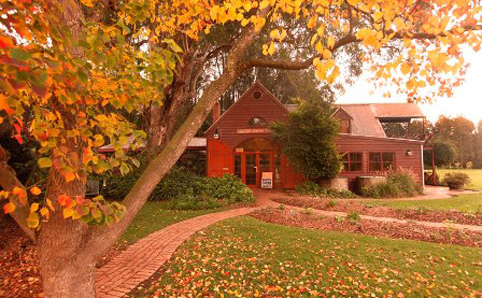 The venue of many a great concert in the Hunter, is another stop for eating and swirling amidst the century-old fig trees. 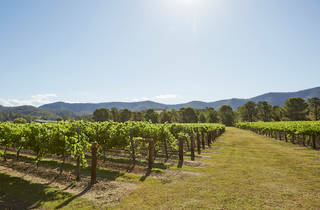 The tasting rooms are spacious, the estate wines hit the mark – try the semillon, chardonnay, verdelho, shiraz and shiraz viognier, with the latter being one of the best examples of that blend in the Valley – and Esca restaurant serves a great Mod-Oz lunch and dinner. Natural wine is everywhere right now, and there’s a reason for that: it’s delicious. 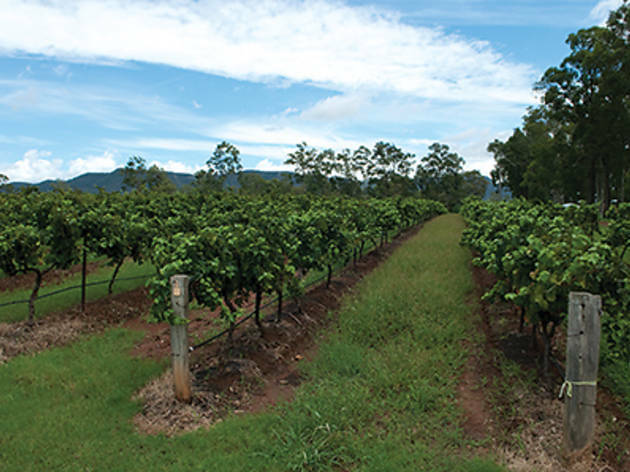 Harkham Wines in the Hunter Valley is one of our favourite producers, and it’s also one of the closest wineries to Sydney that produces natural drops. The best thing about Harkham? It has accommodation, so you can drink to your liver’s content, as there’s no need to drive anywhere afterwards. All hail chardonnay! 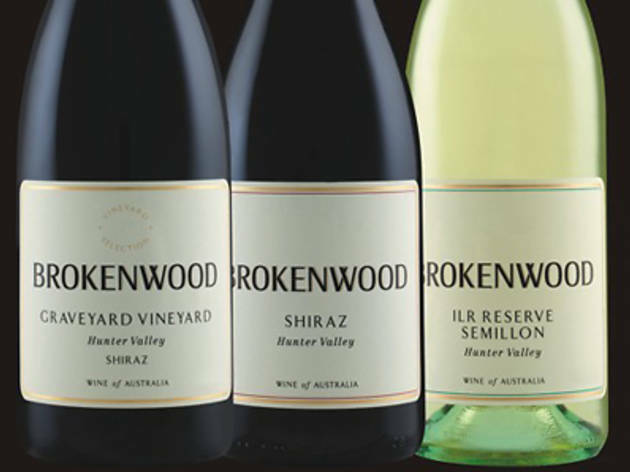 Dating back to 1975, Brokenwood may be known for its Cricket Pitch red, but the real standouts are the award-winning chardonnays from Beechworth (Vic), Hunter Valley and Orange (NSW). 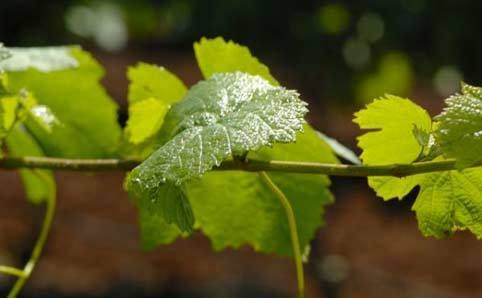 Expect fruit-driven wines that have a good acidic balance. 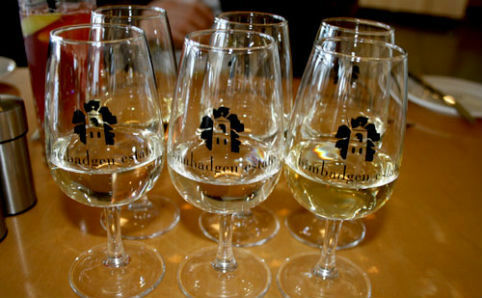 Opt for a casual, private or group tasting at the cellar door. Club members are offered the chance to get the behind the scenes look at how wine is made and taste from the barrel during a Tour and Taste experience. While it can get busy on weekends, the staff are friendly and find a way to offer a pleasant experience even when there are hordes. 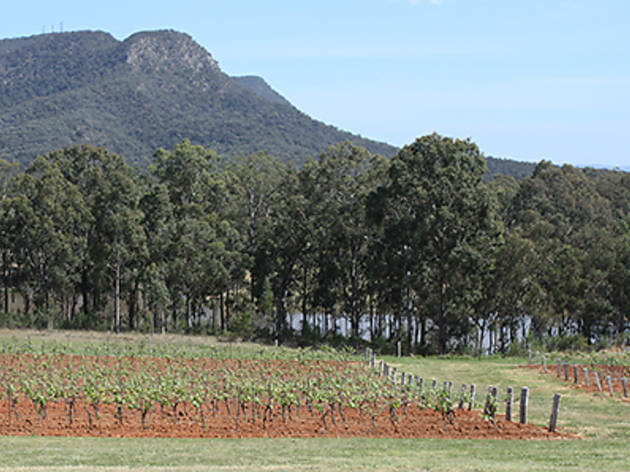 Look out for the magpie: that’s when you know you’ve found a gem of a boutique producer in Lovedale, known for its shiraz and semillon. The chardonnay is also a standout, as is the merlot. 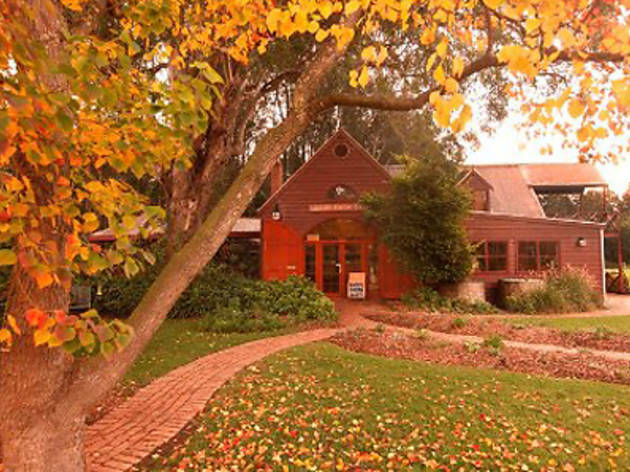 The small cellar door has the feeling of a country house and alongside serving samples of wine, gourmet products from across the Hunter are also on sale. 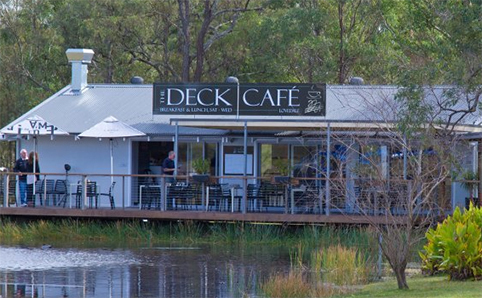 Sample Gartelmann’s finest in their cellar door or opt for a tasting on the covered deck overlooking the dam. There’s also a café that’s open for breakfast and lunch. 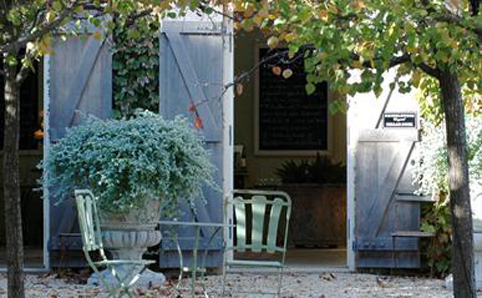 Make your way through the picturesque gardens and into the cellar door where you’ll be pleasantly surprised. 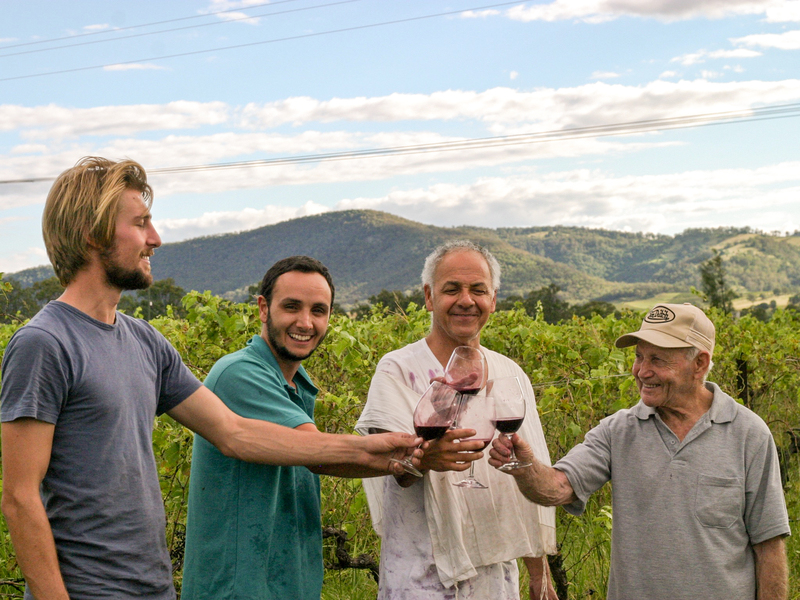 This family-owned, biodynamic winery makes as cracker of a rosé from 100 per cent estate-gown vines. The basket press shiraz, semillon and chardonnay also all stand-out at a winery where you could be mistaken for thinking you’ve journeyed to France. 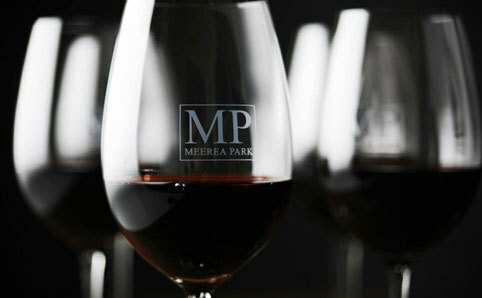 The shiraz is the big star at Meerea Park, a winery known for its sandstone tasting cottage and its spicy reds. Don’t leave without having tasted the Alexander Munro Shiraz, named after the great grandfather of winemaker Rhys Eather. There’s a good range of single-vineyard wines alongside the Alexander Munro, and also try wines from the Aunts and Hell Hole vines. The Tallawanta Grand Reserve Shiraz is the king at this boutique winery: expect to be walking out the door with a bottle. 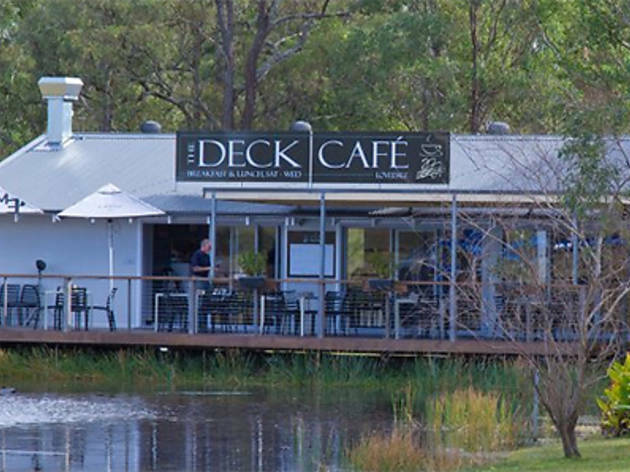 After sampling the single vineyard Tallavera Shiraz, and stocking up on a top reserve semillon, enjoy a top dinner at the excellent Circa 1876 restaurant, where you can dine while watching kangaroos frolic among the vines outside. 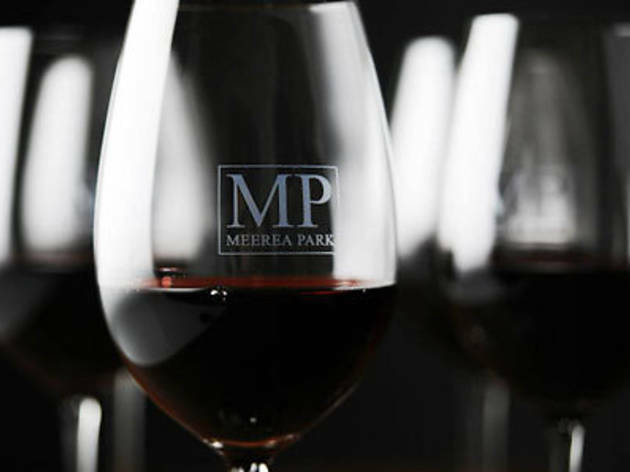 You can also book yourself in for a winery tour to learn the ins and outs of the winemaking process followed by an exclusive tasting in the members room. Up on the hill and overlooking the Valley, you could be forgiven for paying too much attention to the view at this top cellar door. But you better sit down and taste some wine (that’s how it’s done here) and get your beak into all three chardonnays Scarborough produces. 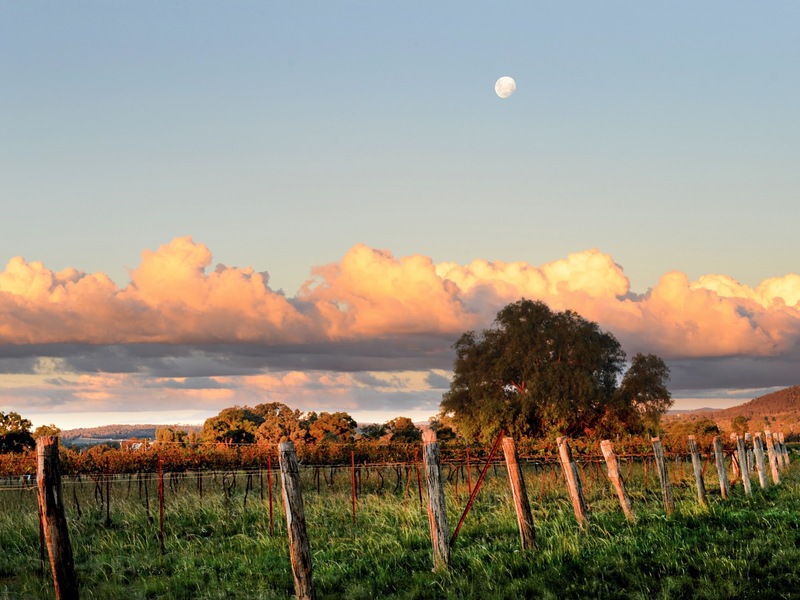 Don’t skip past the shiraz, or the pinot noir rosé that’s a chilled red star in this Valley. 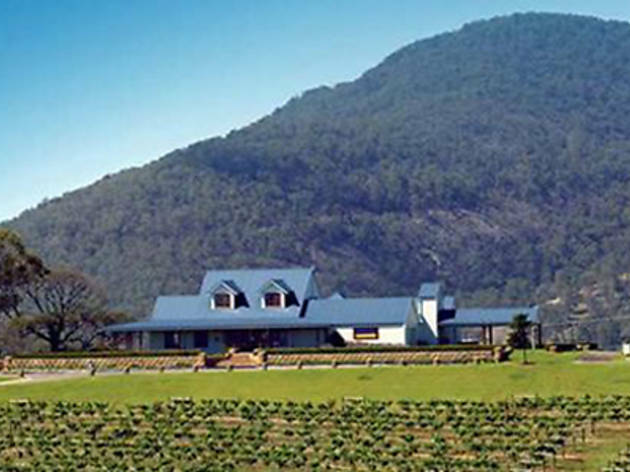 The brainchild of the McGuigan winemaking family, Tempus Two has a strikingly-designed cellar door, tree-lined driveway and top quality wines. 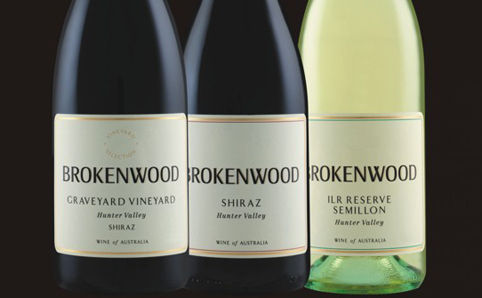 Look for the copper series, complete with copper wine labels, led by the grenache shiraz mourvedre and Wilde Chardonnay. Next door, swing by Oishii Japanese restaurant or the cheese shop for something artisinal to complement the fine drops. No Hunter trip is complete without a trip to Tyrrells, an Australian family-owned business dating back to 1858. 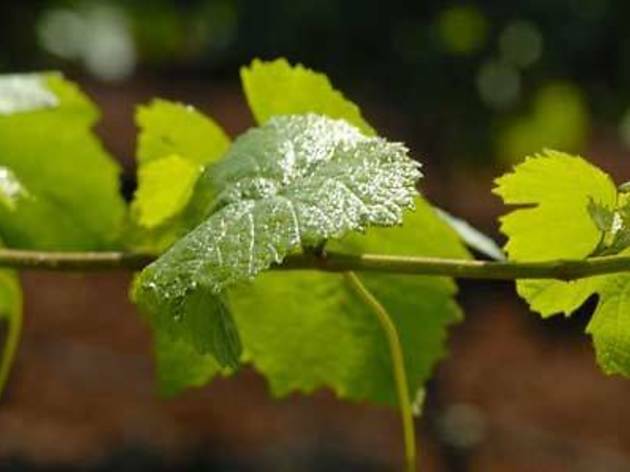 The Vat series wines are world class, particularly the chardonnay, semillon and shiraz. There’s also a top-notch line-up of sparkling wines, alongside some fine tawny port that’s best enjoyed at a B&B amongst the vines during winter.